Ed. Note: Last month there was a shooting homicide inside the Deanwood metro. 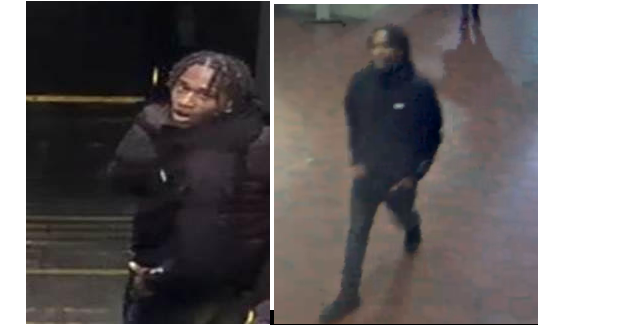 “The Metropolitan Police Department’s Homicide Branch seeks the public’s assistance in locating a person of interest in connection with a fatal stabbing that occurred at Deanwood Metro, located in the 4700 block of Minnesota Avenue, Northeast, on Monday, April 11, 2016, at approximately 10:57 am. The person of interest is described as a 14 to 20 year old black male, medium complexion, medium build, with dreadlocks and braces. He was last seen wearing blue jeans and a black jacket. “Detectives from the Metropolitan Police Department’s Homicide Branch have announced an arrest has been made in the fatal stabbing that occurred in the 4700 block of Minnesota Avenue, Northeast (Deanwood Metro Station) on Monday, April 11, 2016. At approximately 11:04 am, Members of the Sixth District responded to a call for an aggravated assault. Upon arrival, they located a juvenile male suffering from an apparent stab wound. The victim was transported to a local hospital for treatment. All lifesaving efforts proved futile, the victim succumbed to his injuries and was pronounced. The victim has been identified as 15-year-old John Rufus Evans III, of Northeast, DC.